Food storage can be such a problem for many families, including my very own. I absolutely hate looking in my dreaded cupboard of storage containers. Or when my kids or husband use one, and then some how they think it is a great idea to tip it on its side in their lunch pails or the refrigerator. Hello unwanted, and completely unnecessary messes. When I stumbled upon Wellslock, I was eager to check into their products. I was given the opportunity to check out three different sizes of their locking food storage containers. I love these for so many different reasons. I love that they all can store right inside of one another. Which means, less space used in my cabinet. And I will be honest, this also means they are not all going to come out after me when I open that cabinet. Which is a huge win for me! These are also perfect for anyone to use. From young kids, to people with special needs, or even the elderly. Everyone can put them together easily. I had my two and five year old both try and they got it without help. The materials it is made out of also makes it stain resistant. No more nasty tomato stains after storing spaghetti. As well as odor resistant. If you would like to find out where to get your own Wellslock storage containers, please click here. Shoes are a big deal in most everyone's life. My husband in particular works on his feet constantly. We are always looking for shoes that are not just stylish, but also comfortable. And most importantly well made. My husband has tried many different brands of shoes over the years. We have gone the cheap shoe route. They obviously never last long. We have spent hundreds on shoes. Which still don't last long. So I wanted to check out Reeboks. Reeboks not only has new cool looks for your feet, but they also have all the classics for you to chose from. As a kid, I remember people wearing these styles and them being so popular in school. When I was browsing the Reebok website, I was so excited to see the shoes I wore when I was younger! Same styles and the same colors. It is under their Classic Collection. My husband picked these because he thought they looked comfortable and wide. He has wide feet, and sometimes it can be a true struggle to find shoes that fit him comfortably. My husband tried on both pairs the day we received them in the mail. The DMX Run 10 Gum are his favorite for work, and every day wear. He said they make him feel taller. He is already tall enough, but they definitely gave him more height. These are made of leather and textile for upper support. They have EVA mid-sole to help cushion and absorb shock. Which according to my husband he thinks this really helps his feet not hurt at the end of the day. The gum rubber on the outside of the shoe is great for indoor surfaces. These are designed for Athleisure with a retro style. My husband wore these shoes for one full twelve hour day, and said at the end of the day his feet were not hurting. He loves them. I love the look of them. And they are still holding up much better then any shoes we have bought in the past. If you would like to check out the DMX Run 10 Gum please click here. To check out all the other great products from Reebok, please click here. I come from a family that absolutely loves seasoning. My husbands friends and him are always coming up with different concoctions for different meats. So we always like to try new things. The Spice Lab sent me a seasoning and two rubs to try. They couldn't of come at a better time, we are in prime grilling season. Not to hot to be near the grill, not to cold. Though, here in Michigan, even when it is winter we still will grill. My husband loves the Sweet Coffee Rub is my husbands favorite on his steaks and ribs. It has a sweet and spicy combination that is perfect. We made some ribs while one of his friends was over, and he was super impressed. The Hawaiian Hula Rub tasted great on chicken. My husband also tried it on fish, and said it gave the perfect sweet and salty flavor for his fish. This is definitely a different rub. But even my kids liked it. Now the chorizo seasoning, I have found good in many things. Particularly brat meat. We buy a lot of uncased brat meat. My husband likes to make things like brat tacos or "bracos" as he calls them. This award winning seasoning is great to add to so many different things. I have been adding it to my fries, and eggs. It is so delicious. Like a new seasoning salt for me. For the Christmas season, there is also a great selection of gifts from The Spice Lab. This includes some amazing spice selections you can get for a loved one or a friend that loves to cook. As well as some really cool Himalayan Pink Salt Shot Glasses. Which would be great for tequila shots. There is something for everyone there. If you would like to check out all of their great gift items and seasonings, please click here. These make the perfect gift for your kids teachers. Every teacher appreciate things that can help in their classroom. These are teacher tested and approved! My husband loves Bourbon. He loves to have a nice glass on the rocks on special occasions. He is very picky on what brands of bourbon he drinks. So when I received Trail's End. He became my official taste tester. He took out one of our ice balls and put it in a small glass, and poured just a bit of bourbon over it. Gave it a little swirl, and tasted it. To my surprise, he was truly impressed. Trail's End Bourbon is a Kentucky Straight Bourbon Whiskey that is finished with Oregon Oak. It travels from Kentucky to Oregon on treacherous terrain. This actually follows the path that Lewis and Clark once went down. I think that is pretty awesome. It is not to far from the end of the Oregon Trail. The bourbon is then finished with Oregon Oak, which makes for amazing results. This is crafted using 8 year old Kentucky Straight Bourbon Whiskey. It is 45% ABV or 90 proof. This is the first collaboration between Hood River Distillers and Clear Creek Distillery. Which are the two oldest distilleries in Oregon. This is perfected with medium toasted Oregon Oak, a bolder profile of oak, imparting a warm nuttiness to the flavor profile. This is also made with traditional mash bill of corn, malted barely, and approximately 10% rye. My husband said he could taste chocolate and a sweetness to it, which Trail's End describes as sweet malt. Another great fun fact about Trail's End is that they have a relationship with the National Forrest Foundation. They are donating a percentage of their sales to help replant trees that have been damaged by Forrest fire in the PNW. A minimum of 5,000 trees will be donated this year, and they have already signed on for a second year! I think that is super special. If you would like to learn more about Trail's End Bourbon, and where you can purchase it for yourself, please click here. In my 11 years of being able to drink, I have typically gone for drinks that include vodka. I have tried so many over the years, but I have not had anything as clean and smooth as American Harvest. This double gold medal winning vodka is handcrafted in small batches. American Harvest is made from Rocky Mountain wheat. The process from wheat to bottle is only six days. They do this by having the mash go through a four column continuous distillation process. Then it is blended with water that is from a protected aquifer that is located under the Snake River Plain as well as organic agave. There is a final four step charcoal filtration process. Which ensures the purity of the vodka. I also love that the by-products from fermentation is then returned to the farmers to feed their cattle. To ensure things do not go to waste. American Harvest is 40% ABV or 80 proof. I love checking out different recipes when trying new brands. American Harvest had a few that were not disappointments at all. I typically drink the classic Bloody Marys. But I decided to go out and try new things while trying American Harvest. Especially after trying a sip straight and finding out it doesn't have that burning feeling down your throat that other brands have had. Shake and pour, and top with the soda. This is a simple yet perfectly refreshing drink. You simply shake it all together and strain over ice. If you would like to find out more great recipes and where you can buy American Harvest, please click here. You can also buy American Harvest on ReserveBar.com by clicking here. Camus Cognac let me check out a bottle of their VS Special Edition. I was so excited to see what it tasted like. I had never had cognac that I knew of before this bottle came to me. So of course, I did a lot of research about what I could do with it. How I could drink it. And what made it best. I found out through my research, it had been years since I have had cognac. This Special Edition Cognac has a great screw on cap that also serves as a measuring utensil as it measures 20 ml. It is perfect for mixed drinks, or even on the rocks. I had my husband try it on the rocks as I am not great at taking anything straight. He said he really enjoyed the flavor. It tasted fruity to him. This has been aged for at least two years. I personally used it to make a couple mixed drinks. And I thought I would share a couple recipes that I thought were really tasty. With it being bonfire season. It is typically the time of the year where I can kick back and have a few drinks. I was able to try Beach Bonfire Cinnamon Whiskey recently. I have not had to many of the competitors as I am not a huge whiskey drinker. My husband has a love for whiskey though. So I went on a search for a great drink to make with this. My husband took a shot of Beach alone. And said it had the perfect spice and burn for lack of better words. It smells like cinnamon. We were both surprised (I was rather excited) that Beach is a clear whiskey. It is flavored naturally with cinnamon and capsicum spice. This leaves a nice heated after taste in your mouth. Beach Bonfire Cinnamon has a 35% ABV (So it is 70 proof). Beach Whiskey is distilled from 99% corn bourbon from Lawrenceburg, Indiana. They bring it to Kentucky where it is filtered, blended and bottled. It is made with all natural ingredients. It contains no artificial flavors or preservatives. They were founded in 2015. I love that their mission is, " To bring the beach- 'your places in the sun' to thirsty, fun loving whiskey drinkers everywhere." Fill the rest to the top with cider. You can make this hot or cold. I actually blended one to see how it would taste, and it was divine. They also have: Cinna-moon which is. Add all ingredients except beer to a cocktail shaker. Shake and strain over ice. Top with Blue Moon and add garnish. Which is also equally delicious! Beach also has a Island coconut flavor which looks like it could make some great drinks as well. If you would like to find out more about Beach Whiskey and their awesome recipes, please click here. You can also buy Beach Whiskey on ReserveBar, by clicking here. And as they say, "Please sip and swim responsibly." Having two dogs in my house can become a smelly situation. My older female dog absolutely hates baths. She has never been a fan. And because she has a long thick coat, she not only sheds all the time but she gets smelly fast. I didn't even know that Grooming Foam was a thing until recently. There are just sometimes Eldorado needs some extra love with her smell. So when I had the chance to try Earthbath Shed Control Grooming foam. I knew I was going to just love it. It is so simple to use. You simply rub it on the dogs fur, and then towel it off. This is great for in between baths. And the soft scent lasts much longer then I expected. Eldorado was much more at ease while I was using this on her. She is typically crying in the shower while I was her off. This is great to make it less stressful to your animal and yourself. In the last year we got a new dog for our family. He is a Saint Bermastiff named Diesel. I have not had a dog with "floppy" ears since I was a child, but Diesel has it. I had been trying to figure out why his ears always stink. And had been trying different things to try and take the stench away. My husband was starting to get frustrated because his stinky ears made his entire head stink, and he thinks he is a human so he is always on the furniture. The Ear Wipes from Earthbath have been nothing short of amazing! I used them immediately when I received them. I was thinking that he was going to need to have me cleaning his ears twice a week or so. But it has been three weeks and there is no dog scent, and his ears have stayed clean. These are naturally fragrance free, and have witch hazel in them which is what helps clean the ear. Earthbath products are meant to be used on dogs and cats 6 weeks and older. They have so many products to chose from. I also love that on their website you can search by your animals special needs, as well as scents. I think it is nice that they have organized everything out for you, so you are not sitting there looking through every item trying to see if it will work for you. Or even getting things that you can't use on your pets. If you would like to find out more about Earthbath, and check out their great products please click here. Monkey Balm is a great product for people with issues with their skin. Though, my son doesn't have issues with eczema, I have a friend that has kids with these types of skin issues. So we have decided to put Monkey balm to the test. After just a few treatments with this stick of Monkey Balm, it seemed like everything was getting better. You can find Monkey Balm here. You can visit them on facebook as well as twitter. When I had my twins many years ago, they had a big problem with gaining weight. I tried everything to figure out how to weigh my son without having to go to the doctors all the time. Nothing felt super accurate. We had dieticians coming in, and different therapists and nurses. Some came with scales, and I always wish I could have one for myself so I could keep better track of my kids weights. So when I found this awesome Precision Baby Check scale from EatSmart I was so excited. Having my oldest now have Cystic Fibrosis, we always have to keep good check on his weight, and when he was a baby it was so hard. I would end up stepping on the scale with him and again without him. This scale from EatSmart looks just like the ones you see at the doctors offices. It weights in half ounce increments. You can also switch between pounds and kilograms. Which is pretty awesome. It is priced at $59.99. Which isn't bad at all. With it having the great scoop design just like the doctors office you are sure to feel safe with your baby in there getting a weight. You can also use this for your pets as well. It weighs up to 44 lbs. So it will last for a few years. I also love that there is memory recall on it. You can tare it out so you can include the weight of a dry diaper to get an even more accurate weight on your baby. I love that it has a slight bit of orange, which is perfect for any babies room. If you would like to know about this great scale or any other awesome products from EatSmart, please click here. Birch Benders Review and Giveaway! Giving my kids so many options, they of course needed to try EVERYTHING the first morning after I received them in the mail. So I of course made sure to make a small batch of each kind. I was amazed in how many pancakes each bag can make. 24 to 26 four inch size pancakes per bag. Now the classic recipe, is over course a classic. Fluffy and perfect pancakes. I love that these mixes just need water. So you don't have to worry about needing to make sure you have eggs, flour, and milk for the typical recipes I have used in the past. They were so excited to try out the Chocolate Chip pancakes first. I was amazed not only at how many chocolate chips were in the pancakes, but how big the chocolate chips were. My youngest absolutely loved the pancakes. I loved that there was no guessing, and I was getting nice fluffy pancakes for my family. The pumpkin spice pancakes were my personal favorite flavor. They are perfect for fall. They don't have an overpowering flavor. Just perfect. I topped these with a little bit of apple butter. It was the perfect match. I do wish I would have had whipped cream on hand, because I am positive that it would have been a great combination. My husbands favorite pancake is the classic blueberry pancake. He has only had fresh blueberries in his pancakes so he didn't know if he would be a fan of these. But, the blueberries re hydrated perfectly. They were much larger blueberries then what I have seen in other brand mixes in the past. And not only added great color pops to the pancakes, but also great moist flavor. My eldest loves just a classic pancake. And I tried those as well. They were a perfect flavor, a bit sweeter then what I have made in the past, but so delicious. All four flavors of pancakes turned out perfectly. And I was impressed over all by how much each package makes. Birch Benders has so many flavor and dietary options. Even Paleo and Gluten Free. If you would like to check out Birch Benders, and their different options in flavors and mixes please click here. Being a mom of two boys, and a husband who works in a construction warehouse. We have a lot of stains. There are stains every single day, without question. And I have tried so many things to get the stains out. Some clothes just end up being play clothes. So finding Buncha Farmers Stain Sticks. I wanted to give them a try. This is a environmentally stain stick. The first thing I noticed was how wonderful it smelled. A lot of the stain removers I have used in the past tend to smell a lot like chemicals. Which then sticks into your fibers of your clothes. My husband came home the day I received these in the mail, and had a bright orange shirt just filled with stains. I made him take it off immediately. I got the stick wet and started to apply it on every stain. Went and started a load of laundry. I was amazed on how well it worked. And how well the shirt smells. I like that you can also melt this in hot water and use on stains on carpet and upholstery. I will definitely using this to spot clean my couch because it ends up so dirty so fast. 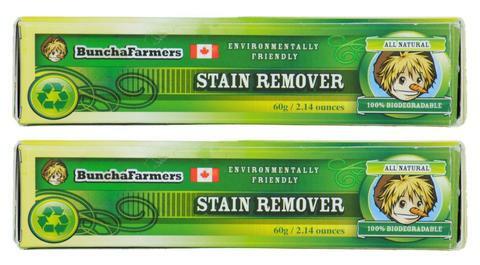 If you would like to purchase stain sticks or other great products from Buncha Farmers, please click here. Having a baby come into your family can be very stressful. Knowing what essentials you need for your new little baby. Or even gift giving for a baby shower can also be hard. BabyComfy has you covered with the perfect set of essentials for your new little bundle of joy. The Hydrate for Health, is perfect for sick little ones who you need to measure the amount of liquids they are taking in to make sure they are staying hydrated. I can't even begin to tell you how many times I have needed to use this with my oldest son. The BabyComfy Kit comes with four essential items a lot of parents will tend to forget about until the need is there. The snot trap is the first one I seen in the kit and thought, yup this is super useful. I hated the traditional bulb snot squeezer things when I had my kids. They hated them, they can actually do damage and bruise the inside of your babies nose. I used the snot trap with both my boys, and they were great, and so gentle. The BabyComfy Kit also has the trim tearlessly nail clippers for your little one. I didn't have baby nail clippers. I didn't even know they were actually a thing until after my first. I ended up biting his nails off, which was not only gross, but also scary. These clippers are great for little fingers. 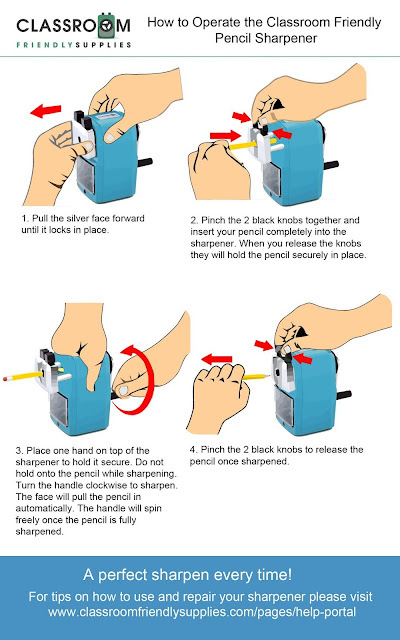 And work to pull the nail away from the skin so you are not accidentally getting their skin. The BabyComfy kit also has a great gummi necklace. Looks great on mom, and perfect for your little ones who are teething. These things are a complete lifesaver. This set would be great as a baby shower gift for anyone. Especially when you don't know the gender as it is not gender specific. If you would like to order your own, please click here. I love a good hand soap. Anything that doesn't dry out my hands is a huge bonus. And something with a lasting scent is even better. Not to overpowering, just a perfect light scent. It always makes me feel so happy. Finding South of France, I was so excited. They have a great selection in different scents and types of soap. I was lucky enough to try the Lemon Verbena foaming hand soap. I could smell it right through the box, and it smells so great! I also love the cute packaging on the bottle itself. This soap has organic agave nectar, which helps leave your skin more hydrated. It also has coconut oil to help moisturize. The ingredients list includes: "Made with Water (Eau), Potassium Cocoate, Fragrance (Parfum), Citrus Medica Limonum (Lemon) Peel Oil, Citrus Aurantifolia (Lime) Oil, Citrus Aurantium Dulcis (Orange) Peel oil, Vetiveriea Zizanoides Root Oil, Litsea Cubeba Fruit Oil, Eucalyptus Globulus Leaf Oil, Glycerin, Potassium Olivate, Citric Acid, Tocopheryl Acetate, Malt Extract, Aloe Barbadensis Leaf Juice, Agave Tequilana Leaf Extract." This also comes in regular hand wash, bar soap as well as travel size. If you would like to check out this great scent and many more from the South of France, please click here. I was recently given the chance to check out the Watermelon Ball Jr. My kids were so excited to have a new ball to play with in the pool. We took it out same day. I hooked the adapter up to the hose and filled it up slowly. My kids didn't understand why I was putting water in the ball. And I was curious on how it would actually work. I tossed it into the pool and it sunk hard, and slowly came back up. The whole family spent a good while just playing with the ball in the pool. Then my Saint Bermastiff decided to come in. I was a little nervous that the ball would be popping soon because he is relentless. Much to my surprise, after a few unsuccessful attempts Diesel caught the ball. I took it out of his mouth and started looking for puncture wounds. There was nothing on it. Here is the overview on the ball from the site: "Just fill with water and get your game on! The Watermelon Ball JR is a smaller, lighter version of the original Watermelon Ball. Designed to look, feel, and behave like a watermelon in water. Real watermelons are nearly neutrally buoyant: first sinking to the bottom then slowly rising to the top, making them ideal for all kinds of water games. Watermelon Ball JR lets players dribble, kick, bounce, pass, and intercept under water. The extremely durable vinyl membrane stands up to intense action, features that are sorely missing from real watermelons. 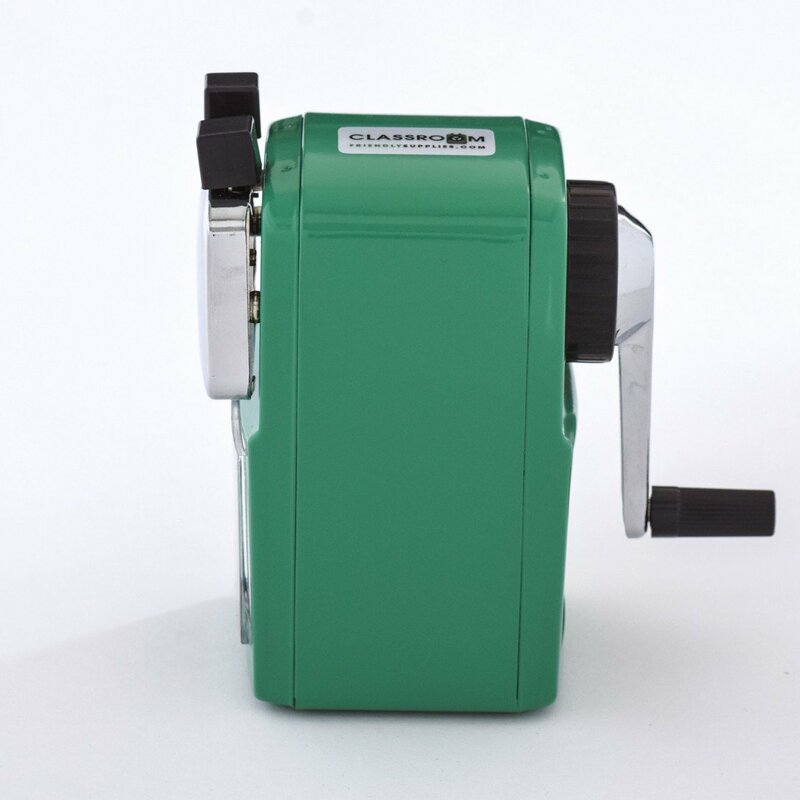 When filled size is 6" (15.24 cm) dia and approximately 4.17 lbs (1.89 kg). " If you would like to purchase a watermelon ball jr for some fun time in your pool, please click here. My husband and I recently upgraded to a king size bed from a queen. And he had gone out and bought a set of sheets for it the day we got it, while I stayed home with the kids. I have always been pretty picky on what types of sheets I sleep on. He came back feeling great that day, thinking he got some great deal on a set of sheets. I put them on the bed, and they were awful. I don't know exactly what the blend was on them, but they were slippery. And constantly coming up on the corners in the middle of the night. It was obnoxious.Which brought me on a search for the perfect set of sheets. Bare has given me the chance to check out a set of their Premium Ultra Soft Microfiber Sheets. The set I received is a dark gray. When I first thought about Microfiber before my sheets arrived. I thought they would be similar to the cloths I use for cleaning. I was so amazed when I received my sheets in the mail, and they were so soft. I consider this the perfect sheet set. When I put these on my bed it was over 90 degrees out. And even though we have air conditioning, I hate using it during the day. My husband needs it at night though. I have had this set on my bed for about a week now. Not once have I had to fix the corners of my sheet. They fit perfectly. My husband and I both agree they are much better then his deal of a find from before. If you would like to find out more about Bare, or these great sheets, please click here. One of my favorite childhood memories was going to the other side of the state to see my Grandparents. My Aunt was so cool. We would go play video games on the Super Nintendo, play with her pet ferret. Without fail, every time we would leave, my Aunt would load my sister and I up with the best candy. I remember her having a drawer in her desk that was just full of all of the best candy. Since growing up, some of my absolute favorites have been so hard to come by. And some times, you just need that sweet nostalgic taste. Old Time Candy has a great selection of all your favorites from your child hood. They have their site set up so easy to use. You can find candy by the decades, dating all the way back to pre 1920's. I was lucky enough to be able to check out one of their Decades boxes. I of course chose the 1990's because I wanted to see what amazing candies would jog my husband and my memory from our childhood. I didn't expect it to be as great as it actually is. Old Time Candy gives you a choice of a two pound box which includes, over forty pieces of candy, with thirty five different candies with a few duplicates. Or the four pound box which includes, seventy of your favorites from childhood, with sixty different pieces of candy. I was amazed that they do decades boxes from the 1950's all the way through the 90's. You can even chose to get a box of a mixture of all decades. These are the perfect gift for your favorite candy lover. The more and more I thought about it. These would make a great gift for your Grandparents, or even Great Grandparents that have that sweet tooth. Letting them go through their favorite candies of their young lives. Old Time Candy suggests taking the person you plan on gifting this to and figuring out what decade they were ten years old. That would be the decade that they would have the most memories in. It holds true in my husband and my case. I was amazed to see wax lips, and the squeeze ICEE candy. I had a great time sharing this with my whole family. My kids loved seeing what candies were around when mom and dad were a kid. And having the four pound box, there is plenty to share. I love that Old Time Candy will also add in a handwritten gift card at no extra charge. So if your loved one is far from you, you can have this sent right to them. And if you can't think of a great thing to say to your loved one or friend, they have great suggestions already for you to chose from if you wish. There are great lists to help you get ideas of what candies come in each decade box. Could you imagine waking up on Christmas morning to a box of all your favorites that were most likely stocked up in your stocking through out your childhood? Their website is also set up so you can search for your favorites from your past in all different ways including: flavors, occasion, types, decades. Or you can just look through their complete inventory of different varieties of candy by choosing to walk their candy aisle. The boxes are so cute, and they even have a little game of tic tac toe you can play with your candy you have received. With their awesome back story and history. It is a great read while you are munching on all of your favorites. If you would like to check out Old Time Candy, and their amazing decades boxes, please click here.